Christmas has now become 'That Thing On 25 December We Don't Mention'. Bah! So, while I stomp around my house muttering Bah Humbug, (amongst other things!) 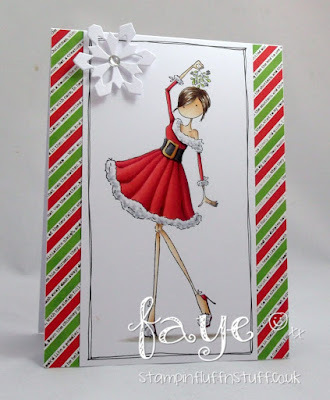 if you could talk amongst yourselves about how completely gorgeous Stamping Bella's Uptown Girl Eve Under The Mistletoe is, I would be very grateful. She is gorgeous and I know a few folk that would adore her on a card. I love this image and your coloring is divine. It's only July and I'm already behind in making Christmas cards eek! I think I have this image but haven't used her much. I must dig her out again!